Congress must find answers to what is going on with children separated from their parents crossing the border. Nearly a year has passed since the Trump administration launched a cruel and inhumane policy of separating children from their families at the Mexican border. The new Democratic majority in the House can and should find answers for Americans. Despite intense public attention, many questions remain unanswered, including when exactly the separations began and whether they’ve completely ended. A court order last summer led to the identification of 2,737 children separated from their parents between April and June of last year. But the number doesn’t reflect all of the family separations, according to a brief issued last month by the inspector general’s office of the Department of Health and Human Services. Share your thoughts on the news by sending a Letter to the Editor. Email letters@seattletimes.com and please include your full name, address and telephone number for verification only. Letters are limited to 200 words. Next week, a House Judiciary Committee panel on immigration and citizenship will hear testimony on the policy from administration officials and others. The House Homeland Security Committee also has scheduled hearings, including testimony from Department of Homeland Security Secretary Kirstjen Nielsen, next month. Such investigations are necessary. There’s a risk that House Democrats frustrated with the Trump administration could go overboard. But a measured approach can provide a thorough accounting of how the separation policy came into being and where those children are today. 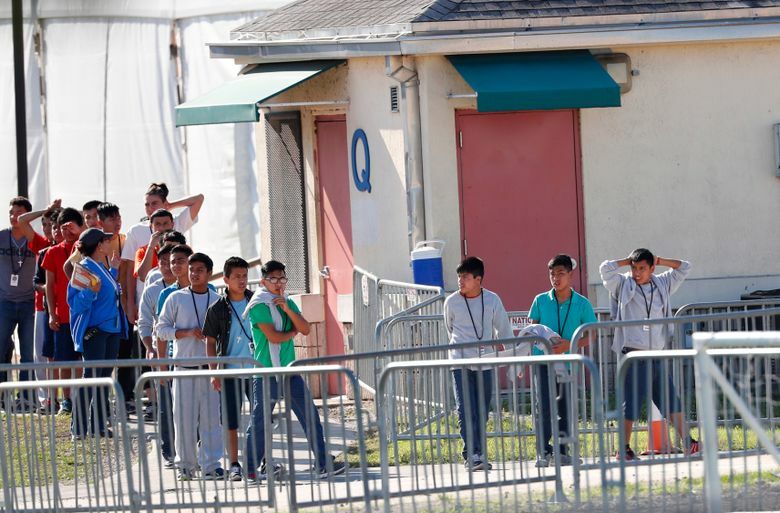 While they’re at it, House investigators should examine operations at a temporary facility in Homestead, Florida, where 1,600 children between the ages of 13 and 17 are being held after crossing the border with their parents. Before the closing of a similar facility in Texas, more than 14,600 such children were being held in U.S. facilities — an increase of 9,200 since President Donald Trump took office. The facilities are exempt from standards that restrict the U.S. government from detaining unaccompanied children more than 20 days. Stories of abuses of power and bureaucratic failures flow by with such regularity these days that it’s easy to lose a sense of the significance of what Americans are witnessing. This unconscionable separation policy, in particular, needs to be re-examined to ensure the nation understands and records exactly what happened and holds accountable all those who allowed it. The Seattle Times editorial board members are editorial page editor Kate Riley, Frank A. Blethen, Donna Gordon Blankinship, Brier Dudley, Mark Higgins and William K. Blethen (emeritus).